Another African stamp showing Grapefruits – a friend of mine told me that Japan is importing them this season. Cameroon was a German colony between 1884 – 1922, after then it became a French and British colony. 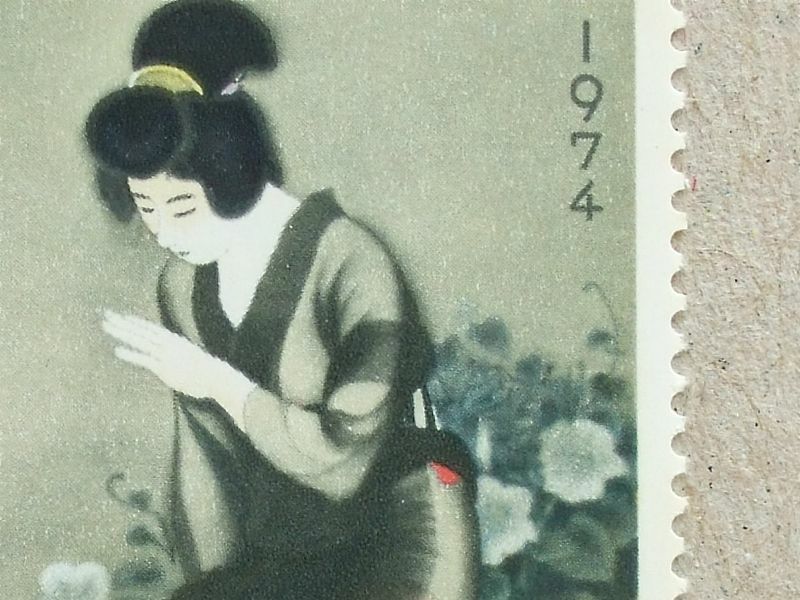 This stamp was issued several years after the country became independent. This design is trying to depart from French and British stamp design heritage – and it is strong as a result. 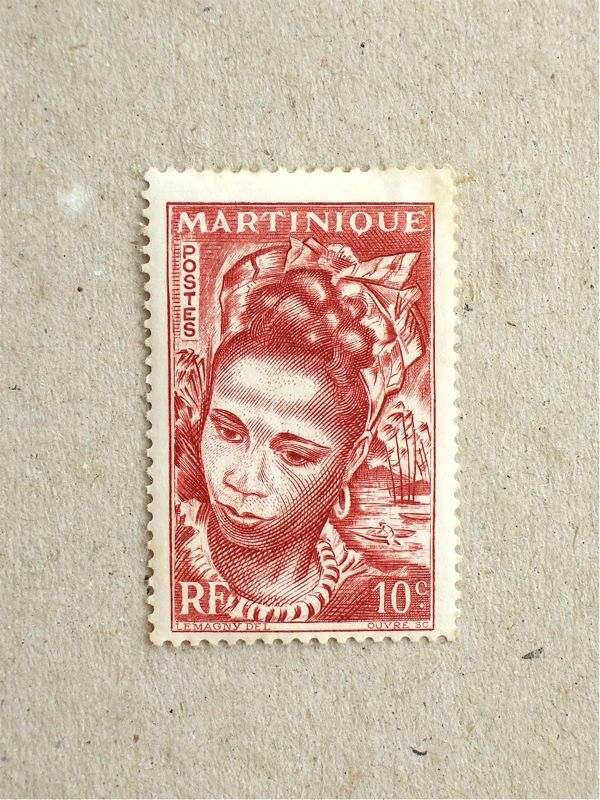 I looked in my collection for any African hairstyles with combs – not from Africa, but I found this one from the French island of Martinique in the Caribbean Sea. This lady’s fabric decoration is connected to her hair by a slim comb. In the exhibition of “Origins of the Afro Comb”, you can learn about modern Afro Combs which are used to celebrate African identity of emancipated slaves in those Caribbean islands as well as in the USA and Europe.